So it’s February the worst month of the year. 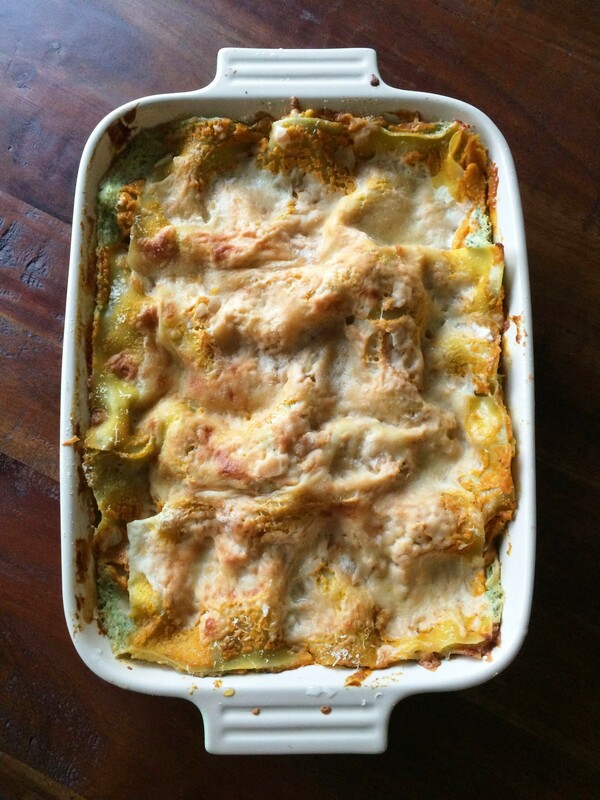 I am still cold and still in need of warming, wintery dishes like this lasagna. 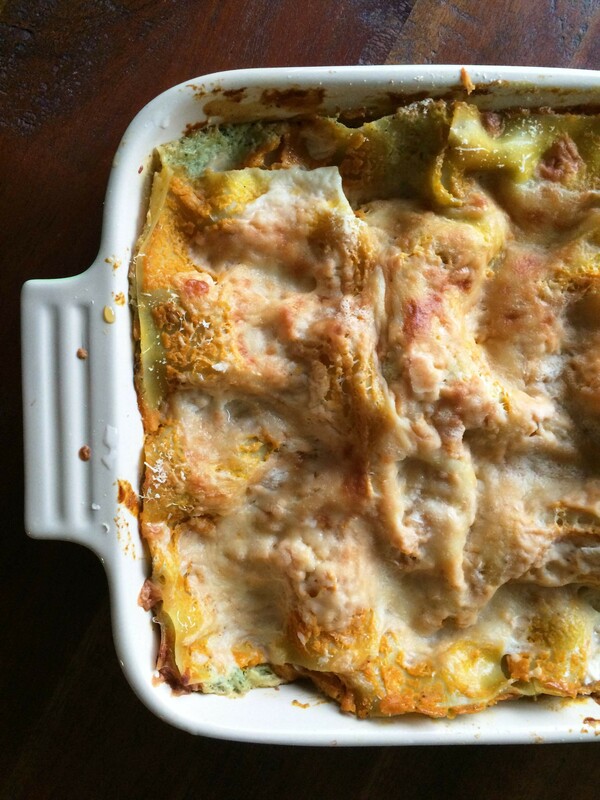 For all you lasagna haters this one has no ricotta and essentially no traditional lasagna components. It’s basically a layer of pureed squash, basil béchamel, cheese, and carbs. I am obsessed with things I can make in advance and this is certainly one of them. I am also into making comically large amounts of cheesy carbs that I then slowly (or not so slowly) consume over the course of the week. Just trying to stay warm and survive this Chicago winter via comfort food. Heat the oil in a heavy large skillet over medium-high heat. Add the squash and toss to coat. Sprinkle with salt and pepper. Pour the water into the skillet and then cover and simmer over medium heat until the squash is tender, stirring occasionally, about 20 minutes. Cool slightly and then transfer the squash to a food processor. Add the cookies and blend until smooth. Season the squash puree with salt/pep. Melt butter in a heavy medium-size saucepan over medium heat. Add the flour and whisk for 1 minute. Gradually whisk in the milk. Bring to a boil over medium-high heat. Reduce the heat to medium and simmer until the sauce thickens slightly, whisking often, about 5 minutes. Whisk in the nutmeg. Cool slightly. Transfer half of the sauce to a blender. Add the basil and blend until smooth (careful it’s hot!). Return the basil sauce to the sauce in the pan and stir to blend. Season the sauce with salt/pep. Position the rack in the center of the oven and preheat to 375 degrees F.
Lightly butter a 13 by 9 by 2-inch glass baking dish. Spread 3/4 cup of the sauce over the prepared baking dish. Arrange 3 lasagna noodles on the bottom of the pan (feel free to break noodles or whatever you have to do to make it fit… rustic is fine). Spread 1/3 of the squash puree over the noodles. Sprinkle with 0.5 (or slightly more) cup of mozzarella cheese. Drizzle 0.5 cup of sauce over the noodles. Repeat layering 3 more times. Basically just layer up all your ingredients however you see fit. 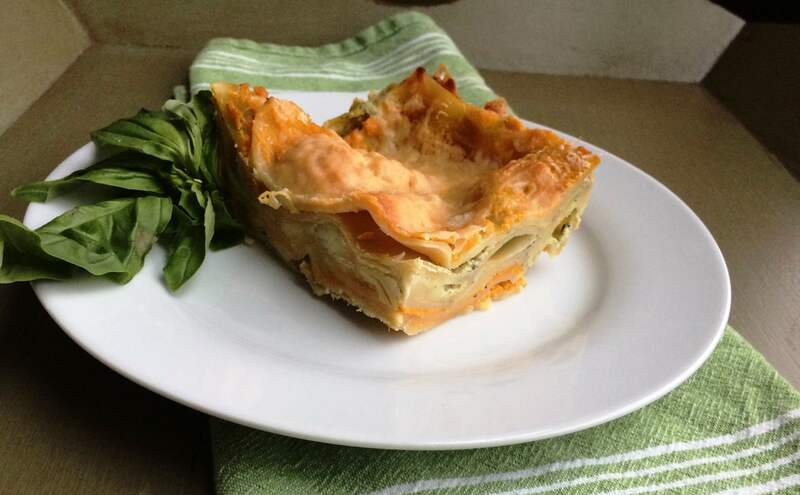 Tightly cover the baking dish with foil and bake the lasagna for 40 minutes. Sprinkle the remaining mozzarella and Parmesan cheeses over the lasagna. Continue baking uncovered until the sauce bubbles and the top is golden, 15 minutes longer. 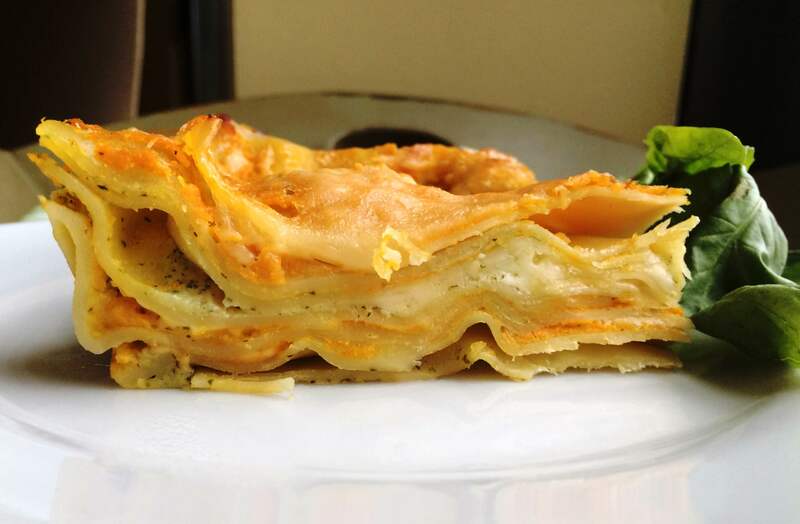 Let the lasagna stand for 15 minutes before serving. To tell you the truth I made this whole thing the day before eating it. Then I warmed it for 25 minutes in a 325 degree oven when I was ready to devour.